Driving in Thailand is an experience that you will never forget. There are road rules and laws, however, the safest way to drive is SLOWLY, combining your experience and some of the local habits. We have collected some driving related photos that will blow you away! Motorbikes in Thailand. Expect the Unexpected! My advice to potential car drivers, is to watch the traffic for a day or more before getting behind the drivers wheel. Experienced motorbike riders should do the same. 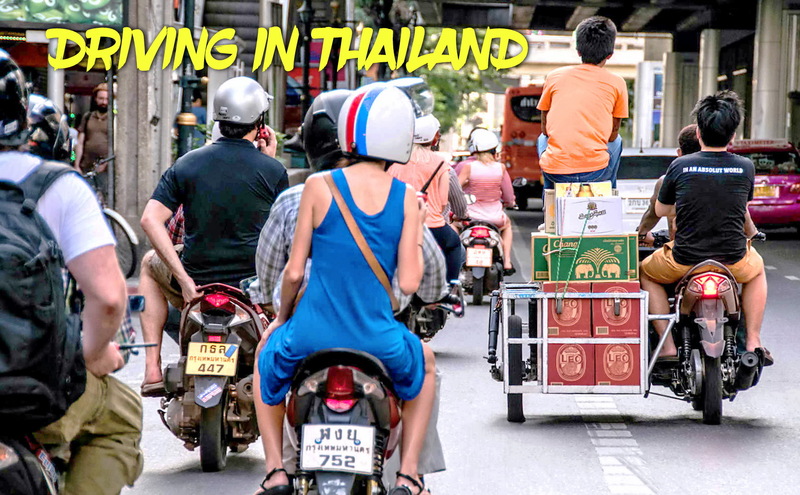 Thailand in general, especially holiday destinations, such as Koh Samui, are definitely not the places to learn how to ride a motorbike! A current 1 or 5 year Thai or International drivers licence is required. More information is available at the Thailand Department of Land Transport. Watch everyone and everything, there is always a surprise! Overloaded in Thailand, Expect the Unexpected! You have been warned. Expect the Unexpected!